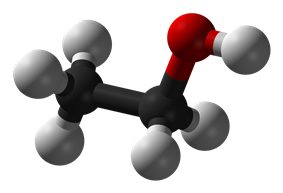 Glycolaldehyde (HOCH2-CH=O) is the smallest possible molecule that contains both an aldehyde group and a hydroxyl group. It is the only possible diose, a 2-carbon monosaccharide, although a diose is not strictly a saccharide. While not a true sugar, it is the simplest sugar-related molecule. Glycolaldehyde is an intermediate in the formose reaction. In the formose reaction, two formaldehyde molecules condense to make glycolaldehyde. Glycolaldehyde then is converted to glyceraldehyde. The presence of this glycolaldehyde in this reaction demonstrates how it might play an important role in the formation of the chemical building blocks of life. Nucleotides, for example, rely on the formose reaction to attain its sugar unit. Nucleotides are essential for life, because they compose the genetic information and coding for life. Glycolaldehyde forms from many precursors, including the amino acid glycine. It can form by action of ketolase on fructose 1,6-bisphosphate in an alternate glycolysis pathway. This compound is transferred by thiamine pyrophosphate during the pentose phosphate shunt. In purine catabolism, xanthine is first converted to urate. This is converted to 5-hydroxyisourate, which decarboxylates to allantoin and allantoic acid. After hydrolyzing one urea, this leaves glycolureate. After hydrolyzing the second urea, glycolaldehyde is left. Two glycolaldehydes condense to form erythrose 4-phosphate, which goes to the pentose phosphate shunt again. Glycolaldehyde is the second most abundant chemical formed when preparing pyrolysis oil (up to 10% by weight). When Earth was first formed the atmosphere has been theorized to consist of gases such as methane, (CH4), ammonia (NH3), water vapor, and other simple gases. These gases were exposed to electrical discharge following the formation of formaldehyde in abundance and glycolaldehyde in lesser amounts. This theory is similar to that of Miller-Urey. After the electrical discharge to early Earth’s atmosphere, formaldehyde and glycolaldehyde then rained down to Earth and were deposited in aquifers that theoretically contained other solvents such as formamide. Formamide has been shown to provide an electrophilic background that is necessary for simple sugars to react further, producing more complex sugars. The aquifers had a high alkaline environment. 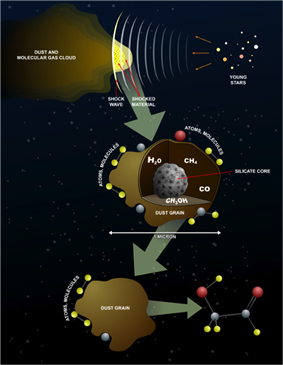 The Earth’s atmosphere, consisting of CO2, was able to lower the aquifer's pH enabling formation of complex sugars. Some scientists speculate borates in these aquifers were able to permit formation of complex sugars, such as ribose, by forming borate complexes with the final pentose. Glycolaldehyde bound to borate enolized, meaning the carbon oxygen bond gave electrons to the neighboring carbon creating a double bond. The oxygen received hydrogen due to the creation of the double bond. Glycolaldehyde then participated in aldol reactions acting as a nucleophile. This process yielded the first complex sugar on Earth. It should also be noted that laboratory experiments have demonstrated that both amino acids and short dipeptides may have facilitated the formation of complex sugars. For example, L-valyl-L-valine was used as a catalyst to form tetroses from glycolaldehyde. Theoretical calculations have additionally shown the feasibility of dipeptide-catalyzed synthesis of pentoses. This formation showed stereospecific, catalytic synthesis of D-ribose, the only naturally occurring enantiomer of ribose. 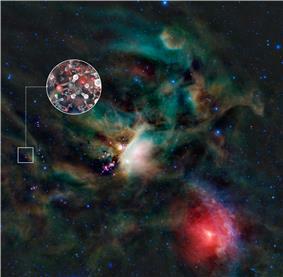 Glycolaldehyde was found in a low-mass molecular cloud of a forming star (IRAS 16293-2422). More recently, it was found in a high-mass cores as well. Since the detection of this organic compound, many research groups have attempted to theorize various chemical routes to explain its formation in stellar systems. One theory is glycolaldehyde formed on the surface of dust grains. Dust grains allow molecules to grow and react, such as hydrogenation in the case of glycolaldehyde. 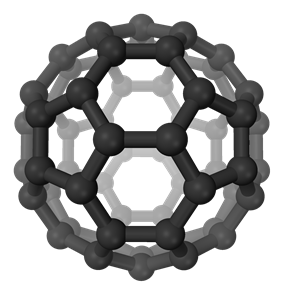 A particular research group focused on constant temperature collapse of massive molecular cores. When conditions like decreased temperature and appropriate densities, similar to those of massive cores, are considered, only a few reactions supported grain-surface synthesis. A theorized intermediate is formyl radical (CHO). This intermediate is a well-known compound to exist in cold, photon-dominated regions of stellar clouds. HCO is theorized to have reacted with itself on a grain of dust and gained hydrogen's forming glycolaldehyde. The star must maintain lower temperatures for this theory to be plausible, and the longer the star collapses at this temperature (3-15 K) the more time for complicated compound to form. Glycolaldehyde may also be formed through grain surface reactions in ices containing methanol. It was found that UV-irradiation of methanol ices containing CO yielded organic compounds such as glycolaldehyde and methyl formate, the more abundant isomer of glycolaldehyde. The abundances of the products slightly disagree with the observed values found in IRAS 16293-2422, but this can be accounted for by temperature changes. 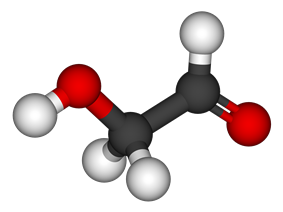 Ethylene Glycol and glycolaldehyde require temperatures above 30 K. The general consensus among the astrochemistry research community is in favor of the grain surface reaction hypothesis. However, some scientists believe the reaction occurs within denser and colder parts of the core. The dense core will not allow for irradiation as stated before. This change will completely alter the reaction forming glycolaldehyde. Sugar molecules in the gas surrounding a young Sun-like star. The different conditions studied indicate how problematic it could be to study chemical systems that are light-years away. The conditions for the formation of glycolaldehyde are still unclear. At this time, the most consistent formation reactions seems to be on the surface of ice in cosmic dust. The interior region of a dust cloud is known to be relatively cold. With temperatures as cold as 4 Kelvin the gases within the cloud will freeze and fasten themselves to the dust, which provides the reaction conditions conducive for the formation of complex molecules such as glycolaldehyde. When a star has formed from the dust cloud, the temperature within the core will increase. This will cause the molecules on the dust to evaporate and be released. The molecule will emit radio waves that can be detected and analyzed. The Atacama Large Millimeter/submilliter Array (ALMA) first detected glycolaldehyde. ALMA consists of 66 antennas that can detect the radio waves emitted from cosmic dust. On October 23, 2015, Science Advances published a paper by researchers at the Paris Observatory announcing the discovery of glycolaldehyde and ethyl alcohol on Comet Lovejoy, the first such identification of these substances in a comet.